After a long day of school, you ride the bus home and anxiously anticipate having a snack as soon as you burst through the front door. But what kind of snack will you choose? Will it be a healthy apple or celery with peanut butter? Or will you head for the potato chips and soda? The answer probably depends upon what’s available in the kitchen cupboards and the refrigerator and whether or not your parents are home. After all, if Mom or Dad is around, you probably won’t get away with chugging soda and noshing on chips. In fact, they probably have a special name for those foods. What are we talking about? Junk food, of course! Every kid at one time or another has had some of his or her favourite foods referred to as junk food. But what exactly does that mean? It’s obviously not made from garbage, so why do we call it junk food? The term “junk food” has been around since the early 1970s, when the center for Science in the Public Interest began using it to raise awareness of foods it considered to be unhealthy. Although not everyone agrees on exactly which foods should be considered junk foods, the term is generally used to describe foods that are high in calories and low in nutrients. Junk foods tend to contain large amounts of fat, sugar, and salt. Junk foods also tend to be processed, which means they usually contain artificial flavourings and additives, and are packaged in boxes, cans or bags. Some common examples of junk foods include sodas and snack foods, such as potato chips, crackers and candy. Popular fast-food items, like hamburgers and French fries, are also often lumped into the category of junk foods because they often contain lots of calories but not many nutrients. Other foods are considered junk food by some but not by others, depending upon how they’re made. For example, some people consider pizza a junk food because it can be high in fat and calories. Others, however, believe pizza can be a good source of grains, dairy, vegetables, and meat, which contain many nutrients the body needs. As most kids learn in school, it’s important to eat well-balanced meals full of the nutrients the body needs. Such meals would include lean meats, whole grains, and plenty of fresh fruits and vegetables. So why are junk foods so popular? If you like potato chips, candy, and soda, the reason is usually obvious: they’re delicious. Foods with high amounts of fat, sugar, and salt simply taste good. Plus, they’re usually cheap and readily available. Manufacturers make junk foods because they’re inexpensive to make, have long shelf lives, and tend to be popular sellers. If you’re a fan of junk food, there’s no need to despair. These foods are usually fine to eat if you eat them in moderation. If you’re eating a well-balanced diet overall and maintaining a healthy weight, you shouldn’t have any problem eating junk food occasionally. Just remember: your body needs fuel in the form of nutrients to perform at its best. When you replace nutrient-rich foods with high-calorie/low-nutrient snacks, your body doesn’t get the fuel it needs. Fast food: Fish & Chips, Pizza, Burger, Fried chicken, Sausages, Noodles, Pasta, Noodles, etc. Snacks &, Desserts: Hot-dogs, Donuts, Potato chips, French fries, Crisps, Popcorn, Sweets, Biscuits, Ice cream, Tacos, Potato wedges, Pancakes, Biscuits, Cookies, etc. What is junk food list? Why is it bad to eat junk food? The dark side of junk foods is not an unknown fact. Several research studies have shown that fast foods and processed foods have increased childhood obesity, heart disease and diabetes and other chronic diseases. Recently, the Delhi Government demanded a crackdown on junk food that is sold in schools and within 50 meters of them. Not only do they add inches to your waistline, but scientists and researchers have also indicated through various studies that junk food can actually cause serious damage to your brain. The worrying bit is that it’s not just years of poor eating, but regular consumption of junk food even for few days can lead to a mental meltdown. If eaten moderately in rare occasions it might not damage your health but still one must be careful. In his book, Encyclopaedia of Junk Food and Fast Food, Andre F. Smith defines junk food as, “those commercial products, including candy, bakery goods, ice cream, salty snacks, and soft drinks, which have little or no nutritional value but do have plenty of calories, salt, and fats. While not all fast foods are junk foods, most are. Fast foods are ready-to-eat foods served promptly after ordering.” If you look around in any high street, day or night, there are plenty of delivery people on small motor cycles or even on cycles, delivering these foods. I am not blaming them, they try and earn some money by delivering those food. They don’t make them, just deliver in the rain or shine for other people’s comfort. A study published in the American Journal of Clinical Nutrition in 2011 showed that healthy people who ate junk food for only 5 days performed poorly on cognitive tests that measured attention, speed, and mood. It concluded that eating junk food for just five days regularly can deteriorate your memory. This probably stems from the fact that a poor or toxic diet can cause certain chemical reactions that lead to inflammation in the hippocampus area of the brain which is associated with memory and special recognition. Diets that are high in sugar and fat can suppress the activity of a brain peptide called BDNF (brain-derived neurotrophic factor) that helps with learning and memory formation. Moreover, the brain contains synapses which are responsible for learning and memory. Eating too many calories can interfere with the healthy production and functioning of these synapses. This has been one of the scariest discoveries associated with the consumption of junk food. You may know that insulin is produced in the pancreas and helps in the transportation of glucose to fuel the body. Insulin is also produced in the brain where it helps in carrying signals between nerve cells and forming memories. A study conducted at the Brown University shows that too much fatty food and sweets can substantially increase the insulin levels in our body. Just like in the case of Type 2 Diabetes, with higher levels of insulin, the brain stops responding to this hormone and become resistant to it. This can restrict our ability to think, recall or create memories, thus increasing the risk of dementia. Researcher Suzanne de la Monte, M.D., a professor of pathology, neurology, and neurosurgery at Rhode Island Hospital and the Alpert Medical School of Brown University was the first to uncover this association. Following this discovery, most scientists refer to Alzheimer’s as a form of diabetes of the brain. Excess consumption of trans fats found in fried and processed foods can send mixed signals to the brain which makes it difficult to process what you have eaten and how hungry are. This is probably why you end up overeating. 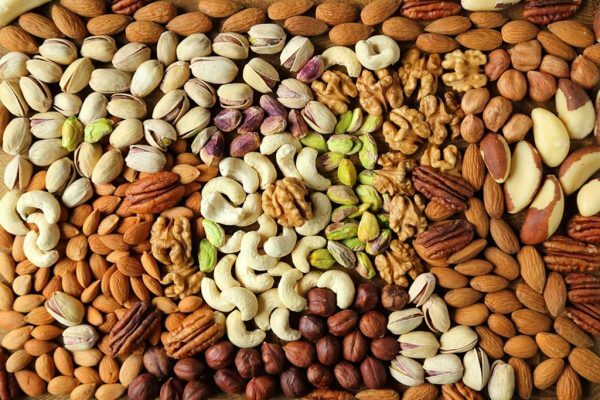 Healthy brain functions require a daily dose of essential fatty acids like omega-6 and omega-3. Deficiency of these two elements increases the risk of attention deficit disorder, dementia and bipolar disorder and other brain-related problems. Over consumption of junk food may displace these with trans fats which are harder to digest. A 2011 study shows that trans fats may cause inflammation in hypothalamus, the part of brain that containing neurons to control body weight. In worst scenarios, the habit of overeating can be similar to drug addiction to an extent that relying on junk foods may activate the pleasure centres of the brain greater than receiving drugs. A lot of studies have shown that eating foods high in sugar and fat actually changes the chemical activity of the brain making it more dependent on such foods. A study conducted at the University of Montreal on mice showed that they suffered with withdrawal symptoms after their regular junk food diet was discontinued. In humans, these withdrawal symptoms can lead to the inability to deal with stress, make you feel depressed and eventually you would turn back to those foods to comfort yourself and handle these feelings. Soon, you may be caught in a vicious cycle even before you know it. Also, by consuming too much fast food you may lose out on essential nutrients like amino acid tryptophan, the lack of which can increase feelings of depression. An imbalance of fatty acids is another reason why people who consume more junk food are at a higher risk of depression. Eating a sugary cupcake or doughnut may temporarily spike your blood sugar levels making you feel happy and satisfied but as soon as they return to normal you are left feeling all the more irritable. Fast food is packed with refined carbohydrates which cause your blood sugar levels to fluctuate rapidly. If your sugar levels dip to a very low level, it can cause anxiety, confusion and fatigue. With high content of sugar and fats, you tend to eat too fast and too much to satisfy your cravings. This can inculcate an impatient behaviour while dealing with other things. Fast foods and processed foods may be laden with artificial flavourings and preservatives like sodium benzoate that tends to increase hyperactivity. As we know there are two types of diabetics, type 1 and type 2. Some people are totally unaware if they suffer from diabetics because they haven’t consulted a doctor for their conditions. In England there are millions of people who are unaware if they suffer from diabetic. After a certain age it is important to check if they have diabetic for your own safety. Hyperglycemia is the medical term for high blood sugar, which arises due to the body’s inability to remove glucose from the blood so that cells can use it for energy. The condition usually only affects people with diabetes because these individuals have problems with insulin – the hormone required for glucose uptake. The scientists have discovered that there are two types of diabetes that is type 1 and type 2. Carbohydrates are the nutrient that impact blood sugars the most. If you have diabetes, it’s important to monitor your carbohydrate intake so that you may discover which foods work best for your blood sugars. Some people with diabetes benefit from following a consistent carbohydrate diet for which they eat the same amount of carbohydrates at the same time daily. Ask your registered dietitian or certified diabetes educator if you’d benefit from eating a fixed amount of carbohydrates at your meals. Type 1 diabetes isn’t caused by poor diet or an unhealthy lifestyle. In fact, it isn’t caused by anything that you did or didn’t do, and there was nothing you could have done to prevent it. Type 1 diabetes is an autoimmune condition. 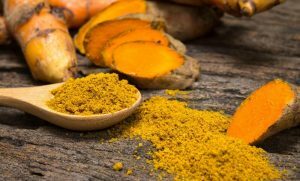 For reasons we don’t yet fully understand, your immune system – which is meant to protect you from viruses and bacteria – attacks and destroys the insulin-producing cells in your pancreas, called beta cells. A hormone produced in the pancreas by the islets of Langerhans, which regulates the amount of glucose in the blood is called insulin. The lack of insulin causes a form of diabetes. It is a protein responsible for regulating blood glucose levels as part of metabolism. It is possible to have diabetes with only very mild symptoms or without developing any symptoms at all. Such cases can leave some people with diabetes unaware of the condition and undiagnosed. This happens in around half of people with type 2 diabetes. Insulin is crucial to life. When you eat, insulin moves the energy from your food, called glucose, from your blood into the cells of your body. When the beta cells in your pancreas fail to produce insulin, glucose levels in your blood start to rise and your body can’t function properly. Over time this high level of glucose in the blood may damage nerves and blood vessels and the organs they supply. A condition known as prediabetes that often leads to type 2 diabetes also produces no symptoms. Type 2 diabetes and its symptoms develop slowly. Type 1 diabetes can go unnoticed but is less likely to do so. Some of its symptoms listed below can come on abruptly and be accompanied by nausea, vomiting or stomach pains. It is important to see a doctor if there is any suspicion of diabetes or if any of the below signs and symptoms are present – prompt diagnosis and management lowers the likelihood of serious complications. The most common symptoms are related to hyperglycaemia (high blood sugar levels), especially the classic symptoms of diabetes: frequent urination and thirst. Fatigue related to dehydration and eating problems can also be related to high blood sugars. This condition affects 400,000 people in the UK, with over 29,000 of them children. Incidence is increasing by about four per cent each year and particularly in children under five, with a five per cent increase each year in this age group over the last 20 years. More than 50 genes have been identified that can increase a person’s risk of developing type 1 diabetes, but genes are only part of the cause. Scientists are also currently investigating what environmental factors play a role. What is known is that: Destruction of insulin-producing beta cells is due to damage inflicted by your immune system. Something triggered your immune system to attack your beta cells. Certain genes put people at a greater risk of developing type 1 diabetes, but are not the only factors involved. While there are no proven environmental triggers, researchers are looking for possible culprits, such as viral infections and particular molecules within our environment and foods. Around 90 per cent of people with type 1 diabetes have no family history of the condition. Although other family members may carry the same ‘at risk’ genes, the overall risk of type 1 diabetes for multiple family members is generally low. The oxidation of glucose represents a major source of metabolic energy for mammalian cells. Because the plasma membrane is impermeable to polar molecules such as glucose, the cellular uptake of this important nutrient is accomplished by special carrier proteins called glucose transporters. These are integral membrane proteins located in the plasma membrane that bind glucose and transfer it across the lipid bilayer. The rate of glucose transport is limited by the number of glucose transporters on the cell surface and the affinity of the transporters for glucose. There are two classes of glucose carriers described in mammalian cells: the Na+-glucose cotransporters (SGLTs) and the facilitative glucose transporters. The pancreas, an organ that lies near the stomach, makes a hormone called insulin to help glucose get into the cells of our bodies. When you have diabetes, your body either doesn’t make enough insulin or can’t use its own insulin as well as it should. This causes sugars to build up in the blood. Diabetes is predicted by a clear set of symptoms, but it still often goes undiagnosed. The main 3 diabetes signs are: Increased thirst, Increased need to urinate, increased hunger. Diabetes is becoming increasingly more common throughout the world, due to increased obesity – which can lead to metabolic syndrome or pre-diabetes leading to higher incidences of type 2 diabetes. By stocking up on non-starchy vegetables, you’ll increase the volume of food at your meals which can help to reduce total calorie intake. You’ll also increase your fibre intake, which can help to reduce cholesterol and lose weight. A diet that is rich in sodium can increase your risk of developing hypertension (high blood pressure), which is a risk factor for developing heart disease. Because people with diabetes are at increased risk of developing heart disease, keeping your blood pressure at goal is important. In bread, cakes and biscuits there are plenty of sodium because they add sodium bicarbonate to raise the flour. In Sri Lanka people eat “Appa and dosai” to which they add this sodium bicarbonate as to raise the flour but if they eat within limits, I think it should be alright. You will want to avoid adding salt to your food as well as increase your intake of fruits and vegetables, two food types that are naturally low in sodium and high in potassium which may have favourable effects blood pressure. A diet type that has worked for many people with diabetes is called the DASH diet. Nutrient-rich plans that are convenient, delicious, and culturally appropriate will help you make long-lasting changes to achieve and maintain body weight as well as prevent or delay complications of diabetes. Start making changes by setting simple, tangible and realistic goals. For example, if you never eat breakfast because you are in a rush in the morning, start by eating breakfast three days per week. Or if you have to start work early, pack breakfast in the morning and eat it at work. Learn how to choose healthy choices when dining out or taking in food. And if you are not a chef, but want to start cooking, learn about basic skills and simple recipes. It takes time to make new behaviours. How many diabetics are there? According to the IDF, the number of diabetics in the world stands at 365 million people, representing around 8.5% of the global population. There are approximately 2.9 million diabetic people in the UK according to Diabetes UK, and there’s thought to be around 500,000 people who may be diabetic but currently undiagnosed. Type 1 diabetes is controlled with insulin, either by regular injections of insulin or through wearing an insulin pump which drips insulin into the body through the day. Energy means money that one has to spend to get them. Gas and electric are the main sources of energy in most countries unlike in the past. In the past back in Sri Lanka they used firewood stoves to cook and still some countries they use these resources for energy for cooking. I am cannot advice how to save energy in firewood stove cooking. I have cooked for a short time on firewood stoves, what can I say? The smoke, dust, ash and the heat given out while cooking is far too much to describe here. Majority of the Sri Lankans eat rice and curries at least once a day. 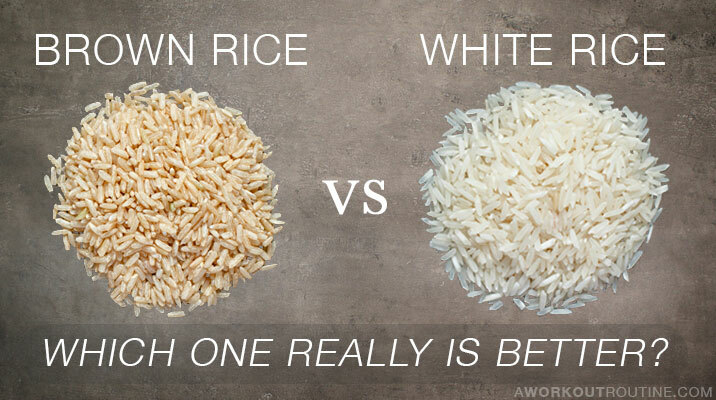 There are plenty of varieties of rice including brown and white rice and they all need different times to cook. One needs to experiment and see how long it will take to cook then need to adjust the time as required to cook a particular brand of rice. Some rice grains have no surface protective coating so they might take a shorter time to cook. Brown rice usually takes a little bit of more time than rice with no surface coating. Brown rice is an unrefined and unpolished whole grain which is produced by removing the surrounding hull of the rice kernel. Its grain retains its nutrient-dense bran and germ layer. It is chewier as compared to white rice and has a nutty flavour. There are far too many cooking programmes in British TV but the only thing is I didn’t figure out any technique of energy saving in cooking. The contestants or even the famous chef’s just cook without due care for any wastage of energy, may be because they do not have to meet the energy bill. The proposal I find most congenial both as a cook and as a chemistry teacher is this. Cooking is the whole series of operations used by humans to turn raw materials, mainly animal carcasses and harvested plants, into food, that is, into something edible, digestible and nutritious. Those operations which I’ll talk about is energy wasted in cooking. Cooking is one of those everyday words that everyone knows. But what does it really mean? Is reheating leftovers cooking? How about making an emulsified salad dressing? Scrambling eggs? Baking cookies? Back home in Sri Lanka majority of people didn’t have the present day modern facilities such as gas and electric cookers, microwaves and ovens. They mainly depended on firewood for cooking. Even at our home including our mum used firewood for cooking. Most of the times a kitchen servant helped cooking and we call her “Kussi amma”. Majority of the present day people in Sri Lanka have these facilities just like in Western countries but they waste plenty of energy that is gas and electric during the process of cooking. 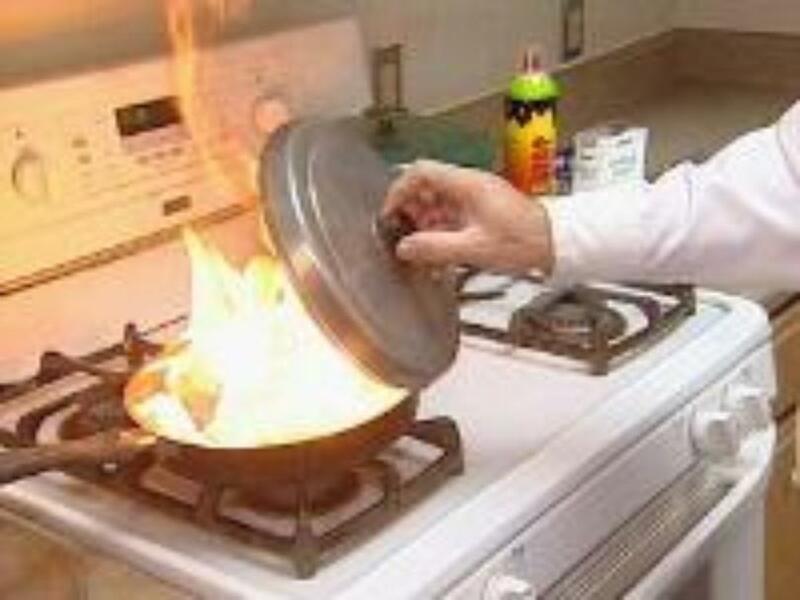 Most British TV chefs hardly care about energy wastage in cooking. To believe me one should watch these British TV cooking programmes. Unlike other dietary fats, trans fat also called trans-fatty acids both raises your LDL (“bad”) cholesterol and lowers your HDL (“good”) cholesterol. A diet laden with trans-fat increases your risk of heart disease, the leading killer of men and women. Here’s some information about trans-fat and how to avoid it. In a C=C double bond if there are two groups are on the same side of the C=C bond then they are on CIS arrangement. If the groups such as CH3 or even H atoms on the opposite side of the C=C double bond then they are in TRANS position. They are the CIS and TRANS. To understand high blood cholesterol, it helps to learn about cholesterol. Cholesterol is a waxy, fat-like substance that’s found in all cells of the body. Your body needs some cholesterol to make hormones, vitamin D, and substances that help you digest foods. Your body makes all the cholesterol it needs. However, cholesterol also is found in some of the foods you eat. Butter, ghee, hard margarines, lard, dripping and goose fat, fatty meat and meat products such as sausages, Full fat cheese, milk, cream and yogurt, Coconut and palm oils and coconut cream. These food are supposed to have lots of bad cholesterol but if we limit the amount we eat then it would not do much harm.